Arrived in Haiti at 9 AM after 9 hours of flying (including layover). Went directly to the compound at Blanchard and rested for a bit. One of the first thing I notice is that they've sealed the windows in the guest rooms with plastic and have installed mini-split (ductless) air conditioners. 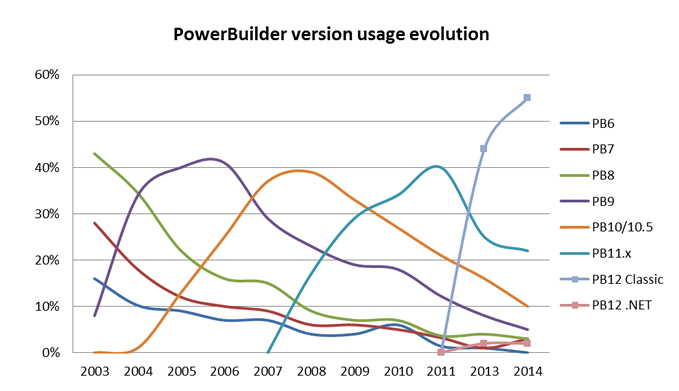 The adoption rate for PowerBuilder 12 seems to have been more rapid than for previous versions of PowerBuilder (at least 9 and later). 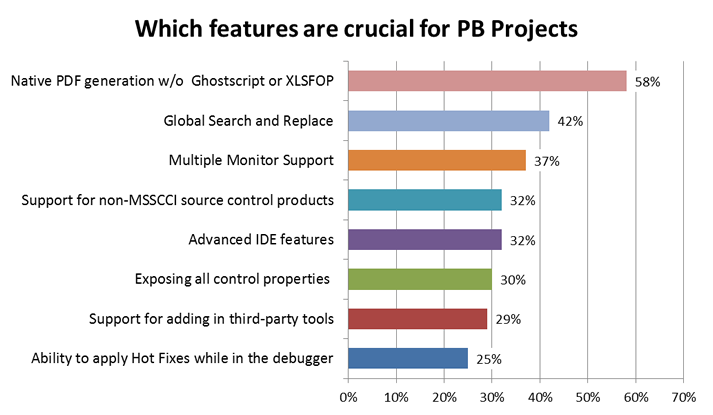 And it kills me that 6 of the 8 most desired new features for the PowerBuilder Classic IDE were provided in the PowerBuilder.Net IDE. I think most PB developers don't know what they're missing out on. There are also a lot of comments included at the end of the survey. I haven't gone through them all yet myself. Sue Dunnell, a Director of Product Management for SAP (primarily for PowerBuilder), has left to join Infosys. Sue originally worked in as a Technical Support engineer with Sybase. After four years, she took over as Director of Product Management in 2000. She continued with in that role with SAP when SAP acquired Sybase. Sue was primarily known for her work shepherding the PowerBuilder product line. At this time, a replacement has not been named. One other announcements from Day One that got overshadowed by some of the major announcements. an Android emulator for Visual Studio. A pretty good summary of the preview is available here. This slide was shown in a discussion of ASP.Net 5, but it's applicable to the broader .Net development environment. The middle column represents the layers. The left column represents .Net development prior to the VSCONNECT announcements. The right column represents .Net development after the VSCONNECT announcements. 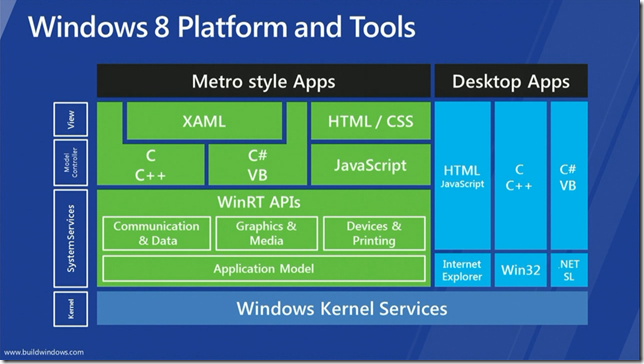 Note that platform specific sections of .Net are not being open sources (i.e., WPF). Here's another important diagram from the announcements. Which is a lot more comforting to .Net developers than their last rather famous diagram from Build in 2011. There's some pretty good analysis of the announcements on iProgrammer here and here. Future versions of the .Net Framework will be named based on the year they are released. For example, the next version will be called .Net 2015. The source code for the .Net Framework will be open sourced. The core portions of it are already available on Microsoft's GitHub server. The core .Net Framework has been ported to Linux and OSX. A new edition of VS.Net, called the community edition is now available free of charge to individual developers and small development groups. It is not an express version of VS, but a full featured version that can be used for production development Licensing is only required for "enterprise use". More details on the announcements in day one can be found here and here. Recordings of the webcast can be found here. During the "halftime show" there were a lot of questions about the future of WPF. That has been responded to in a blog post here. One of the new features introduced with PowerBuilder.Net 12.5 was the ability to create WCF web services. The version of the product also introduced a client for REST web services as well, and a WCF client had been introduce in an earlier version. One frequent question I heard when presenting the new features in conference or online sessions was when PowerBuilder.Net would provide the capability to create REST services, not just consume them. Perhaps what few people realized (including myself at the time) is that WCF web services isn't just for creating SOAP services. Since .Net 3.0, they have been capable of creating REST services as well. So we've actually have had the capability to create REST web services with PowerBuilder.Net since 12.5 was released. In this blog post we'll look at how we do that. Recently someone asked me how they could get the output from PBDOM used from a PowerBuilder Classic Win32 application formatted with white space as PBDOM doesn't include it. I gave them a number of options, particularlyMSXML through OLE Automation or using a .Net class like XmlTextWriter. Normally if you were going to try to access a .Net assembly from a PowerBuilder Classic Win32 application, you would do it via a COM Callable Wrapper. However, for something this simple I thought there had to be a more lightweight way to accomplish it. One particular lighterweight way that occurred to be would be to have the application launch a Windows PowerShell script that would then use the .Net class in question. We're going to look at an example of how that's done. The meeting was held as SAP's offices in Regensdorf, a suburb of Zurich. The meeting started with Sue Dunnell and Dave Fish discussing the status of PowerBuilder, and in particular the beta. That was followed by my presentation on using visual controls (PB.Net in VS.Net, VS.Net in PB Classic). We then broke for lunch. After lunch, Jan Lemmens of SAP then gave an overview of application development with HANA. After that, Dave Fish presenting SAPUI5 and OpenUI5. Finally, Dave Fish demonstrated Android support in Appeon. It's good not to be in Las Vegas. The location in Atlanta is rather convenient. 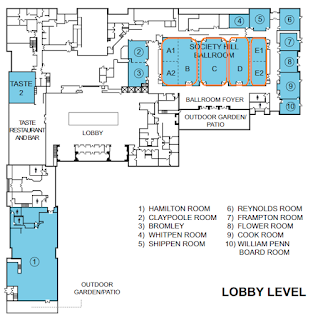 You can take a MARTA train straight from the airport to a shopping mall close to the hotel and then take a covered walkway from the mall to the hotel. The one issue though is that things are not well marked. It seems that the people responsible for signage may be looking at it from the perspective of people that already know the area. I found it quite hard to find my way around when I first arrived. Using non-visual .Net classes in PowerBuilder Classic is somewhat straightforward. Provided the assembly (and the classes and methods within it) have been marked as COM Visible, you can run REGASM on them to create OLE registry entries and then use the class through OLE Automation. I have a video on the SAP D&T Academy that demonstrates the process. 1. VB6 is no longer available for retail purchase. The only way to get access to it now is with a MSDN subscription. That doesn't exactly make it attractive to new developers. 2. VB6 was never updated for compliance with operating systems later than XP. As XP is being desupported, it becomes increasingly difficult to support VB6 apps on more recent operating systems. I also found this interesting. There was a time even when PowerBuilder was at it's peak when the number of VB6 job offerings dwarfed the PowerBuilder offerings. Here's some more recent data. And then there's this. A company that offers training in "legacy technologies" (including PowerBuilder) so that developers who are having trouble finding a job or are not getting paid what they want can find jobs easier and for higher pay. In this webcast, Dave Fish previews the general developer sessions that he will be presenting and discussing the PowerBuilder specific sessions and post-conference workshop offered as well. Please join us for our first series of SAP Mentor Monday webinars with the SAP Startup Focus program on March 3rd 2014. For those of you already familiar with Visual Expert, tune in to see how Visual Expert 7 improves the sharing experience, manages even larger sets of code and better automates your analyses. See how several developers can now simultaneously use the same VE project and share the results of an impact analysis. The PowerBuilder platform is notoriously deficient at automatic or declarative UI resizing. In this presentation, SAP Mentor Yakov Werde will explain and demonstrate 3 techniques you can apply to your Appeon Mobile applications to achieve consistent UI resizing across a range of mobile device displays. As you're probably already well aware, the .Net WebForms target was removed from PowerBuilder beginning with the 12.5.2 maintenance release. The reason it was removed was because of a third party control that was implemented in the later versions of it (11.5.x, 12.x, and 12.5.x) which SAP is no longer authorized to distribute. As a result, they had to pull it from the product as well as remove any EBFs or maintenance releases that contained it. 1. To provide for a single common location with a master set of the source code being developed. 3. To provide a history of source code changes. This helps for instance by allowing changes that were done in error to be more easily reverted. Prior to PowerBuilder 6, the source control options available from within PowerBuilder were limited. This was primarily because a custom driver had to be created that enabled PowerBuilder to talk to the target source control system. Everything changed with PowerBuilder 6, when PowerBuilder implemented a standard API based upon the Microsoft Source Code Control Interface (MSSCCI). In PowerBuilder 8, a PBNative option was added to provide an out-of-the-box source control option. However, PBNative provides "minimal" source code versioning capability. Note that no matter what source control option you use, you should - at least within PowerBuilder Classic - use the source control menu options provided within the PowerBuilder IDE. That is because the PowerBuilder Classic IDE does not store individual source code files at the operating system level, but instead stores them in PowerBuilder libraries (PBLs). Attempting to add the PBLs to a source control system has significant limitations, including restricting checkin/checkout capability to a PBL (preventing other developers from working with any objects in the library that you aren't working with) and dramatically limiting the ability to do version comparisons between edits. The PowerBuilder.Net IDE does store individual source code files at the operating system level, and as a result your source code control options are much more open and beyond the scope of this article. Mercurial: Currently the only know MSSCCI products for Mercurial are Visual Studio plugins that will not work with PowerBuilder. FAQ: How do I learn more about using PowerBuilder? ELearnIT offers online video series with workshops. More personalized training is also available through GoToMeeting or onsite training. PowerBuilder.TV offers a number of PowerBuilder related webinars monthly and has an archive of previous webinars. SAP has a Database and Tools Academy on Youtube with a number of videos on using PowerBuilder. For 20 years, the PowerBuilder Developer's Journal printed a monthly magazine with articles about PowerBuilder and related technologies. The magazine ceased publication in early 2013, but archives of many of it's articles are available online. 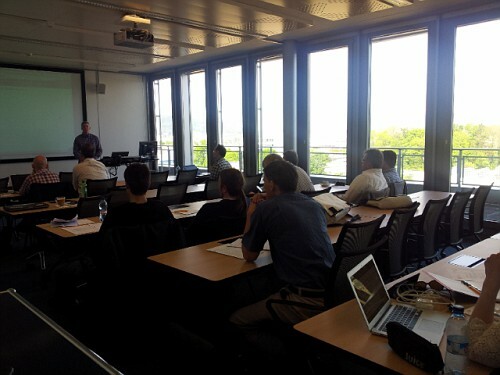 ISUG-TECH is the international SAP user group that focuses on technical users. They offer a monthly magazine that includes PowerBuilder, a special interest group forum for PowerBuilder, a discount on ELearnIT training reference above as well as local user group meetings and conferences.